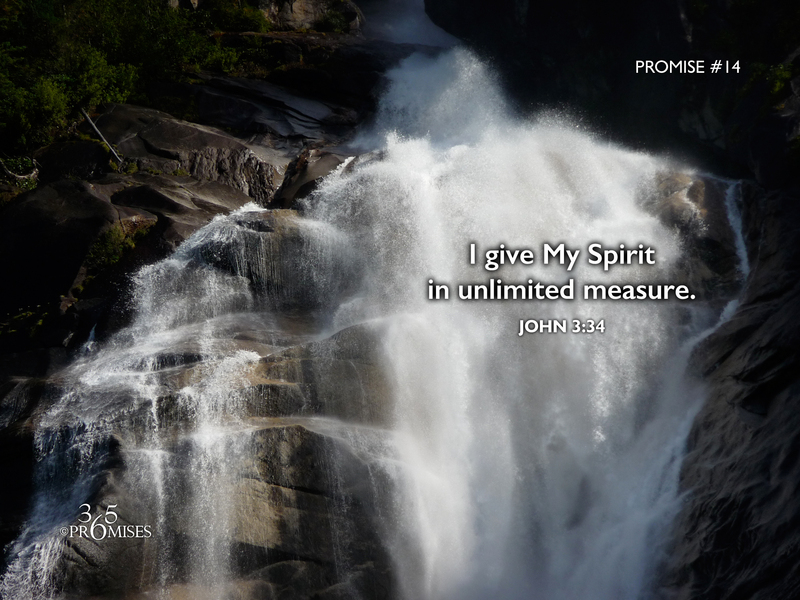 for God gives the Spirit without measure. In John 3:34, John the Baptist is referring to Jesus when He makes this statement... For he is sent by God. He speaks God’s words, for God gives him the Spirit without limit. (NIV) If we are united with Christ and co-heirs with Him, then everything that belongs to Jesus belongs to us, right? The Bible says that we are the temple of the Holy Spirit (1 Corinthians 3:16). It also says that God has given us His own Spirit as a deposit to guarantee our inheritance (2 Corinthians 1:22). If we no longer live, but it is Christ living in us (Galatians 2:20), then I can only assume that if God gave His Spirit in unlimited measure to Jesus, then He has given His Spirit in unlimited measure to us too. Jesus said that nothing would be impossible to those who believe (Matthew 17:20). With this in mind, may faith rise up in our hearts today so that we would know that the Spirit that lives in us is the same Spirit that raised Jesus from the dead (Romans 8:11). There is no limit to what our God and Father will do in our own lives because He has given us His Spirit without measure!